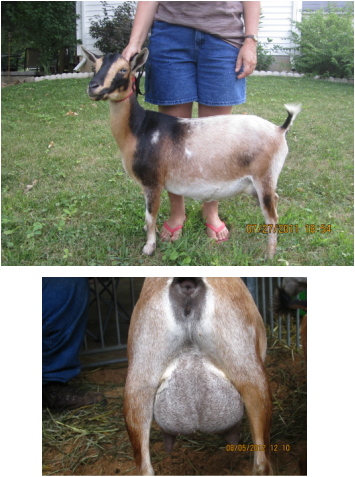 Atarah was one of our first goats from CornerStone Farm. 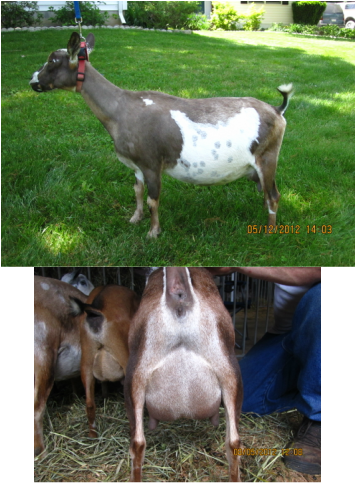 She has several show wins including grand champion and reserve grand champion at the Virginia Heritage goat show and Huntingdon County Fair. 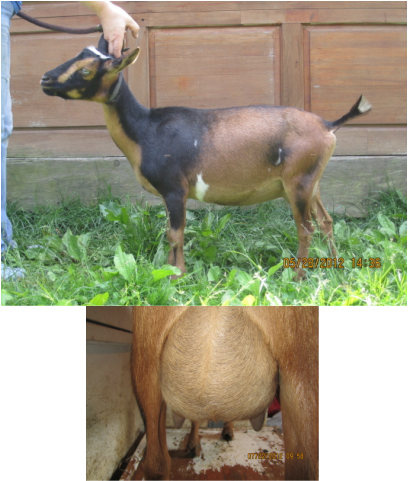 We have added 2 of her bucks to our herd (Sweet Grace Farm Joseph and Sweet Grace Farm Samson) and they have scored at 90E and 87VG. 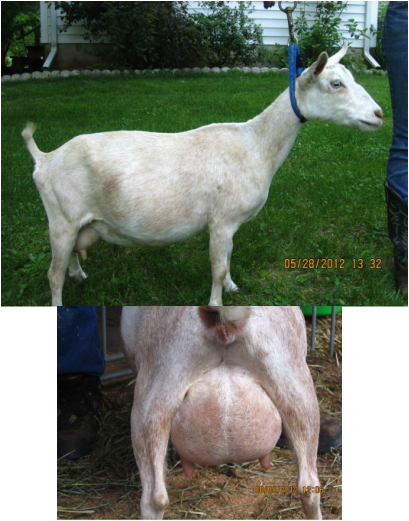 She is a top milk producer for us giving close to 4lbs. a day at peak lactation. Atarah has been an excellent foundational animal. Charran has also been an excellent milker giving close to 4 lbs. in peak lactation. Charran's conformation is very dairy with a very solid over all conformation. Her neck is long and dairy. Her withers are high with nicely blended shoulders. Her barrel is nicely developed. 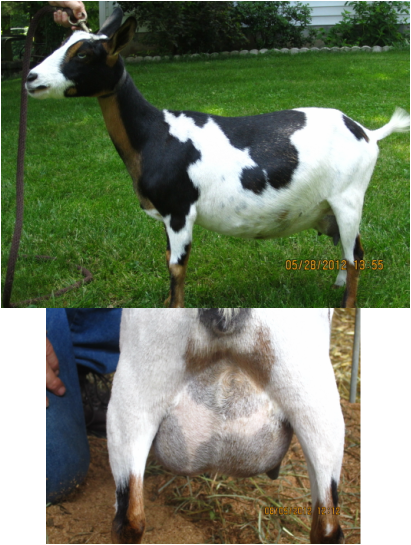 Charran's udder has very nice rear atachment with lots of height and a smoothly blended fore udder. Her teats are straight. Evi has been an excellent milker even late into the lactation cycle. She is especially easy to milk. Evi is very dairy looking with good angularity and long dairy neck.